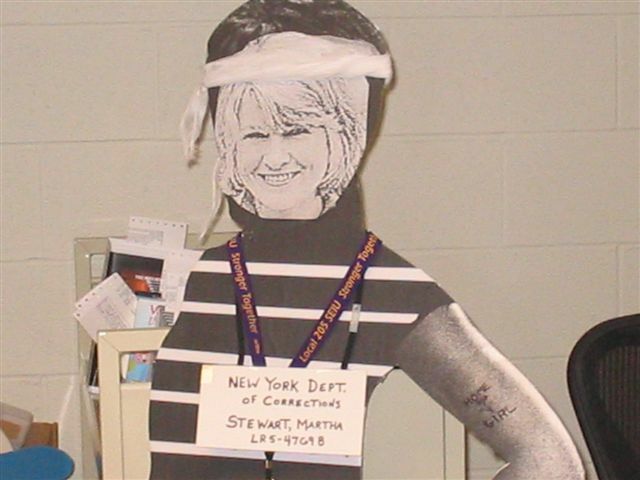 Here are a couple of pics of the Oprah Winfrey cutout that we have dressed as Martha Stewart. It's the basement and we occasionally need a fun project to work on. I thought we could dress Oprah up for the season... bunny ears in the spring, a santa hat in December but that turned out to be too much work. So, she'll stay dressed as Martha for awhile. Until Bridget (in the second picture) can think of a new persona.